Hey... Are you ready to have some fun? Slide the City Malaysia returns with their famous gigantic 420 feet Slip n’ Slide, happening every weekend on Fridays (5pm-12am), Saturdays and Sundays (9am-12am) from September 30th - October 29th, 2017 at Setia City Convention Centre in Setia Alam. 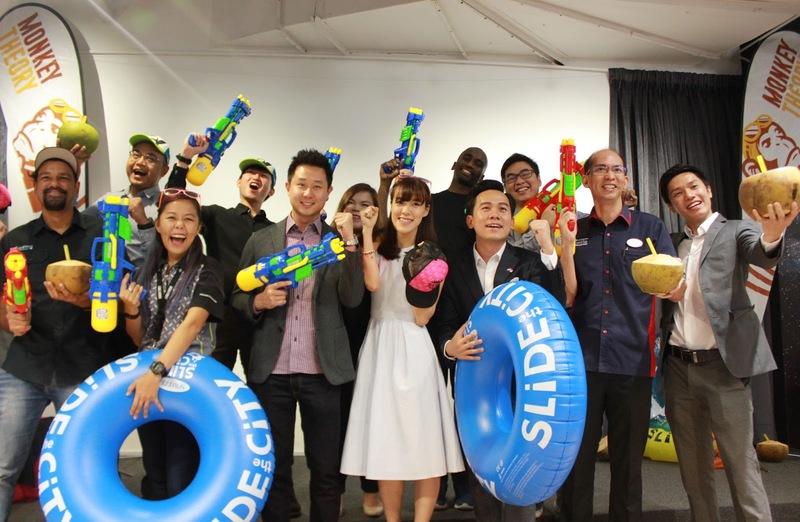 The global phenomenon of Slide the City brings a gigantic slip n’ slide onto city streets and has invaded major cities such as United States, Columbia, Canada, United Kingdom, Korea, Japan, Brunei, Hong Kong, Macau, China, Taiwan and many more. Monkey Theory Sdn Bhd first brought the iconic slide to Malaysia in December 2015 and has since travelled across Malaysia and landed in states such as Penang, Melaka, Kuantan and Johor Bahru. Why have fun without doing some good? Slide the City is a for-profit business that believes in giving back to the community. A portion of the sales proceeds will be channelled towards the National Kidney Foundation of Malaysia (NKF Malaysia) in support of patients suffering from kidney disease. Slide the City Malaysia also aims to raise awareness of obesity, targeting a healthy lifestyle in a fun and engaging in event which the whole family can participate. Besides experiencing the premium slide, visitors will also get to participate in the carnival-like atmosphere with many other activities which will take place simultaneously. The event will feature live music, and carnival games such as the Rodeo Bull, Dunking Game, Bungee Run, and Gladiator Joust. There will also be a host of other activities set to offer fun for the whole family, and visitors will also be invited to partake in the many food offerings of over 15 food trucks in presence. The official partners of the Slide the City Malaysia includes Glinter, GoPro, Pico Design, Kose (Malaysia) and Warrior as the Official Sponsors and S P Setia, Haribo, UBER, tonton, Cleo, Wahoo Events, Great Eastern, AirAsia Big, ROKKI, Fitness First, 7-Eleven, National Kidney Foundation Malaysia, LAC Printing and Packaging, Chili Pang Pang, Tantannews, GO Communications, Anita Souvenirs, TV3, 8TV, SAYS, OhBulan, Sirap Limau, Klips and Studio8 (Quickie). The event is also supported by Tourism Selangor. Regular and VIP tickets each are priced from as low as RM29 and RM86. Tickets can also be bought online at www.slidethecity.asia and onsite on event day. They will also be available at selected 7-Eleven stores in Penang Island, Selangor and within the Klang Valley starting from the 3rd week of September 2017 onwards.